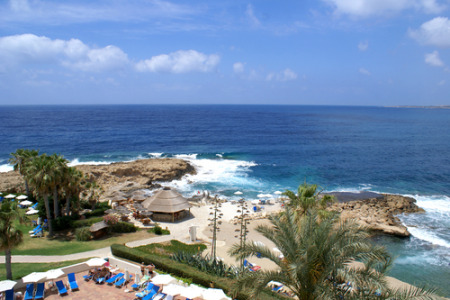 Paphos holidays offer so many sightseeing opportunities that car hire is recommended. As well as the many ancient ruins, forts and churches scattered around the island, if you drive into the hills you'll find many charming villages that have a character all of their own. There you'll find small family run tavernas serving the most delicious traditional food. If you are tempted by a cheap Paphos holiday but can't face the arduous task of trawling through web page after web page trying to find the best deal, try our simple search facility. You'll find over three dozen travel companies competing for your custom. It is simple to use and remember, competition brings out the best bargains. Our search facility enables you to see, at a glance, the Paphos holiday that is the cheapest and the one that offers the best value for money. All you have to do to secure the holiday is make a phone call. To book the best deal, and to avoid disappointment, ring today.